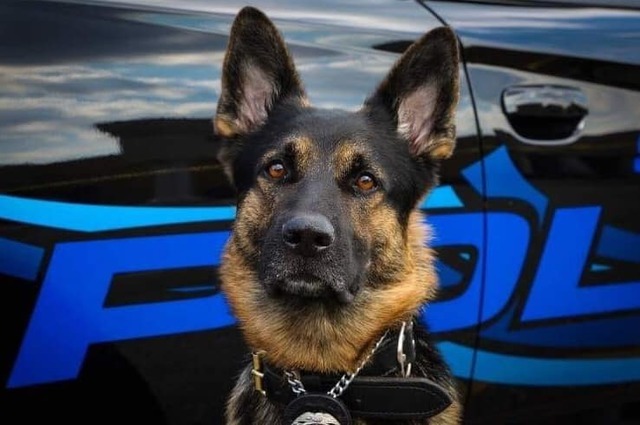 ST. CLAIR SHORES, Mich. (WXYZ) - The suspect in a K-9 officer shooting and the K-9 officer involved are dead following a shooting St. Clair Shores. As for K-9 Officer Axe, he was rushed to an emergency veterinarian office where he died — a large crowd of police and K-9 handlers showed up at the vet’s office to show their support. After being pronounced dead he was removed from the hospital draped with an American flag and escorted away in a procession of police cars with flashing lights.